The rivalry between the world’s top two smartphone brands is heading back to the court this week. 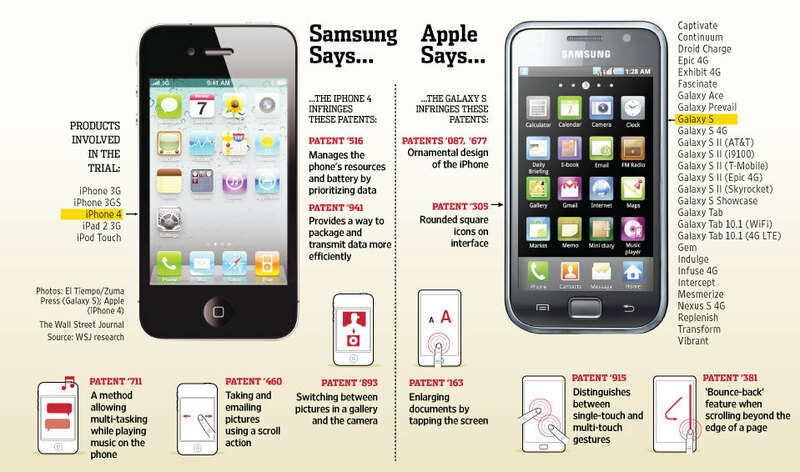 In the upcoming case, Apple claims Samsung stole a tap-from-search technology that allows someone searching for a telephone number or address on the web to tap on the results to call the number or put the address into a map. In addition, Apple says Samsung copied “Slide to Unlock,” which allows users to swipe the face of their smartphone to use it. The most attention grabbing claim in the case is Apple’s demand that Samsung pay a $40 royalty for each Samsung device running software allegedly conceived by Apple, more than five times more than the amount sought in the previous trial and well above other precedents between smartphone companies. If Apple prevails, the costs to Samsung could reach $2 billion. Apple’s costs, if it lost, are expected to be about $6 million.